This Monday finds me trying to meet the April 1 deadline for my March UFO. 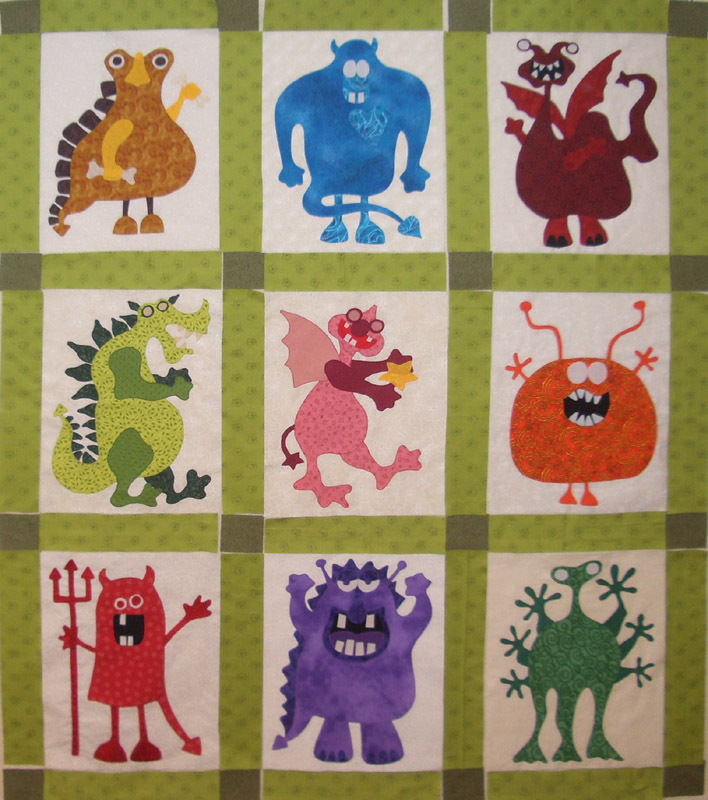 I have the sashing and cornerstones ready to sew on the Monster Quilt. After that, there are 5 more borders to cut and sew on. Two of the borders are half square triangles that will have to be sewn together. After eight years, it will be great to have this quilt finished! Have a great week and don't forget to check out all the other great projects at Patchwork Times. I have that same BOM as a UFO. I started it (one block) and set it aside as my life went crazy. 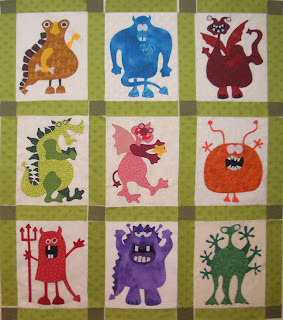 I love those crazy monsters! I can't say it enough...I love this project. Hope the HST go together quick. How cute is that?! Love it. I love this quilt! Do you know the pattern name and designer? I'd love to get it for my grandson! That is going to be adorable when it's done. This one made me smile today!! I have also got a kiddie quilt that is eight years old and if I don't finish it soon my daughter will be too old to want it! Oh that is just so adorable.... it probably needs to be shared with some stranger ( like me) right? I have two gransons who would love that quilt. Wish that fabric was currently available. This will be great.